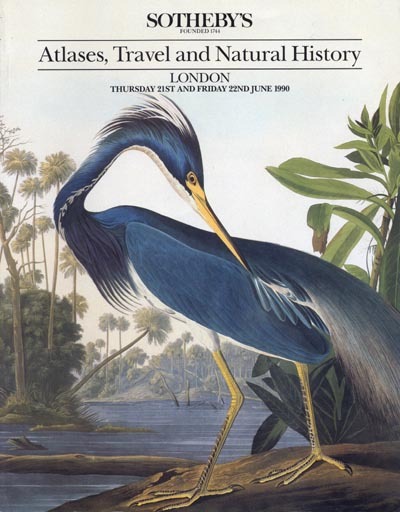 Atlases,Travel and Natural History (Sotheby's London, at Grosvenor Gallery, on 21st and 22nd June, 1990). London 1990. 4o. Gjennomillustr. Orig. omslag. 298, (9) s. Auksjonskatalog. Star Testing Astronomical Telescope. A Manual for Optical Evaluation and Adjustment. Richmond, Virginia 1997. 3rd printing. 8vo. Illustr. Diagrammer. Tabeller. Orig. kartonert bd. Pent eks. 364 s.
Sverdrup, H.U./Johnson, Martin W./Fleming, Richard H.
The Oceans. Their Physics, Chemistry, and General Biology. New York 1946. 8vo. Illustr. i sv./hv. Karter. Foldeplansjer. Orig., noe slitt og smusset helsjirtingbd. Avisutklipp limt inn på forsatsblad. Enkelte understrekninger i teksten. Navn. 1060 s. Illustrated in black & white. Maps and fold out maps. Hardcover. Name inside. Cloth boards have some wear. Text has a few underlinings.1060 pp. Contents: The Earth and the Ocean Basins; Physical Properties of Sea Water; General Distribution of Temperature, Salinity and Density; Theory of Distribution of Variables in the Sea; Chemistry of Sea Water; Populations of the Sea; Waves and Tides; Phytoplankton; Marine Organisms; Marine Sedimentation and other topics. Appendix: Table so computing geopotential distances between isobaric surfaces. Evas sju døtre. En fortelling om våre genetiske formødre. Oslo 2006. Oversatt av Kåre A. Lie. 8vo. Orig. omslag. Ny. 264 s.
Naturvidenskabelige Skrifter. Scientific Papers. København 1920. Samlet Udgave med to Afhandlinger om hans Virke ved Kirstine Meyer. Collected Edition with two Essays on his Work. Bd.1: Kirstine Meyer: The Scientific Life and Work of H. C. Ørsted. H. C. Ørsted: Naturvidenskabelige Skrifter 1797-1808. 4to. Illustr. Skinnryggbd. med orig. omslag medbundet. Slitt i ryggen og langs deklenes kanter. CLXVI, 344, (4) s.